Good luck sticking to sports tonight. Donald Trump is and is not many things and there are better places for that kind of discourse than here. That said, there is no denying that the President of the United States is a petty man who does not take kindly on those who disagree with him. His dealings with the NFL over the last year, especially when it comes to the player protests during the national anthem, have been one of his strongest weapons when it comes to pitting his base against everyone else. So strong were his overtures that the NFL’s owners changed their own rules to ensure that players stand for the national anthem (as if that had anything to do with the reason they were protesting in the first place). The owners hoped that in squashing this singular form of protest, they would make this a non-issue and win back the favor of No. 45. As pretty much anyone with eyeballs predicted, neither of those things will be happening anytime soon. The Super Bowl champion Philadelphia Eagles have struggled with whether or not to visit the White House ever since they hoisted the Lombardi Trophy back in February. Understandably, many of the players are not big fans of Trump and his ideology and voiced their concerns. Even owner Jeffrey Luria is on record as disagreeing with the President and his influence on the league. "Some guys have dreamed about winning a championship and taking that trip to the White House and we're not going to deny that to anybody. But there are also a lot of guys who are passionate about not going." Still, the team started working with the White House on what is usually a given, that any major U.S. professional or college championship team will meet with the President following their victory. 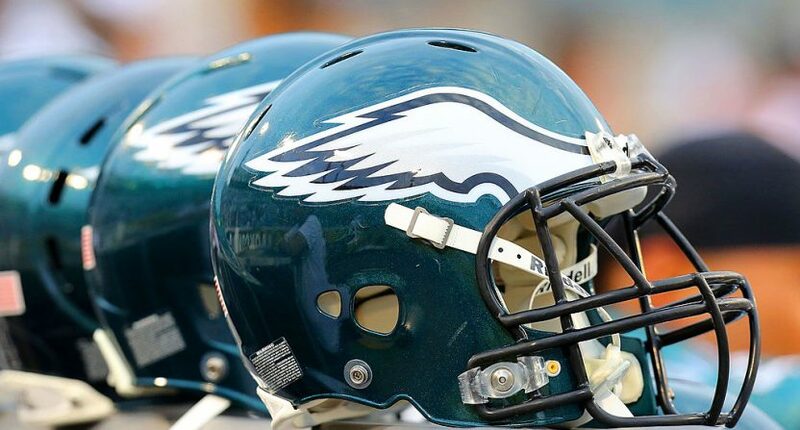 Multiple Eagles players, including safety Malcolm Jenkins, defensive lineman Chris Long, and wide receiver Torrey Smith (who was traded to the Panthers this offseason) all made it clear they would not attend any ceremony. However, the franchise eventually accepted an invitation to meet with Trump back in May. That meet-and-greet photo-op was supposed to take place on June 5. In a move so obnoxious we all should have seen it coming, the day before the ceremony was expected to take place, Trump disinvited the Eagles, their players, and their staff from visiting. Donald Trump, who probably wouldn’t be able to recite the National Anthem by heart if you offered him $1 million, says that the franchise is not welcome because some players “disagree with their President because he insists that they proudly stand for the National Anthem, hand on heart.” Keenly aware of how tactical this move is, the statement also notes that many Eagles fans have already made plans to be in attendance for the event, which is now canceled last-minute over an issue that was known for months in advance. And to cap it all off, the statement then admonishes the Eagles players for not respecting “America” and there will instead be a ceremony that does so, which the Eagles are welcome to attend but no longer in their honor. NFL Network’s Mike Garafolo reported that the Eagles were only planning on sending less than ten players to the White House. Set aside the nationalistic overtones (at best) of the statement and the meaning behind it, and the one thing that is abundantly clear is that NFL players, and all U.S. athletes, who feel the need to protest what’s going on in Trump’s America, are being told they are not allowed to do so. Chances are, that’s only going to make them get louder and up the ante to get their message across. As for NFL owners, they walked right into this mess and we all know full well they won’t be able to clean it up. It’s going to be a very interesting NFL season ahead.